it has been a while since I’ve been able to get to Melbourne and give it real shake. Sunday night found me in Smith Street Collingwood and on Monday I was able to pop by Beer Deluxe in Fed Square. The beer highlights of each day were both provided by Moondog Brewing. The Sunday night stroll down Smith Street really needs to be done on Sunday arvo in summer, but if the opportunity is there – take it. A quiet night in Collingwood (except for the Gasometer, which was celebrating its first birthday and was as full as a tick). I got my first look at Two Row Bar, which warrants a repeat visit with company and an empty stomach. Yah Yahs looks fun and the Robert Burns menu is enticing. My crawl ended at Forester’s Hall – a barn of a place upon which plenty of coin has been dropped. Very quiet and very dark on this particular Sunday evening. I almost had to activate the flashlight on my phone to see the barmaid. 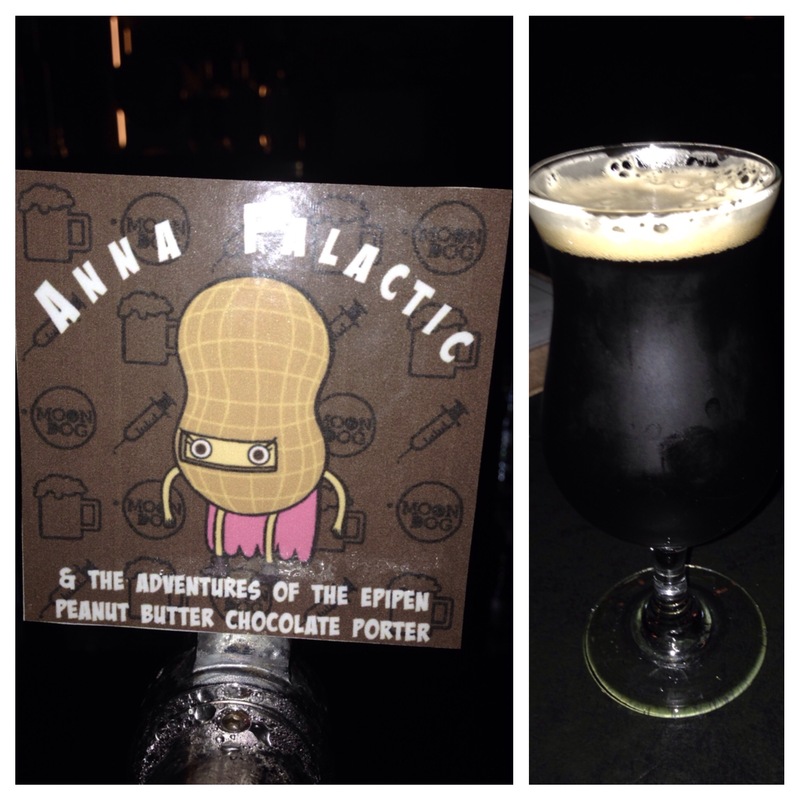 I could, however, read the tap head of a beer with one of the longest names I can recall – Anna Falactic and the Adventures of the Epipen Peanut Butter Chocolate Porter. This wasn’t going to be my first peanut butter chocolate porter. I’d had one in LA that wasn’t bad, Nothing wrong with the Aussie version either. Probably better in fact with a less overt peanut vibe and a much richer roastier finish. Definitely one for bottling. The following evening I had a quick post work libation at Beer Deluxe, which is back in form with a very good tap range and well stocked fridge. 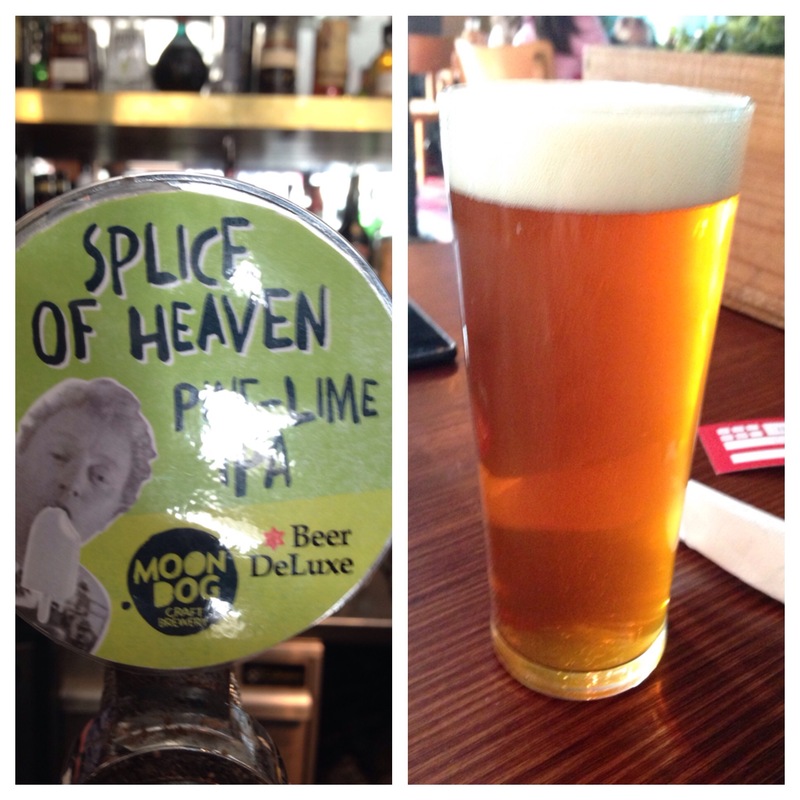 There was plenty on offer, but again Moon Dog had an offering that caught my eye – Splice of Heaven Pine Lime IPA. Now my favourite ice block as a kid was the Splice. I’d nibble off the pine-lime coating before getting into the vanilla ice cream. Moon Dog has done an amazing of recreating that exquisite Pine-Lime flavour which is then followed with a lovely resinous finish. Just a knockout beer. Better still, it is eminently quaffable and could be rapidly followed with another and another. This isn’t a novelty beer, but a real keeper.